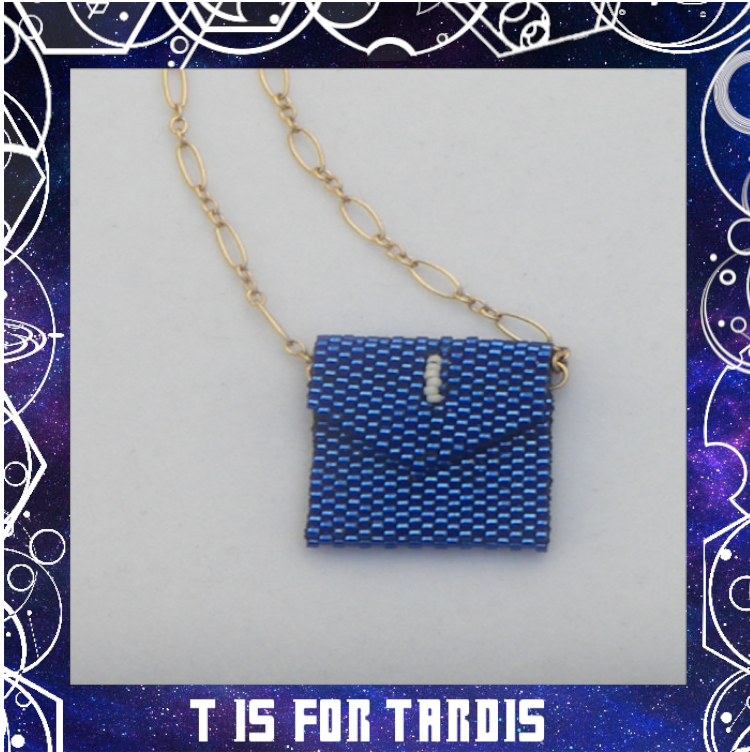 Some kits will need additional items such as the Tardis Blue Envelope Necklace which also requires chain & jump rings in order to add the finished beadwork to a necklace. 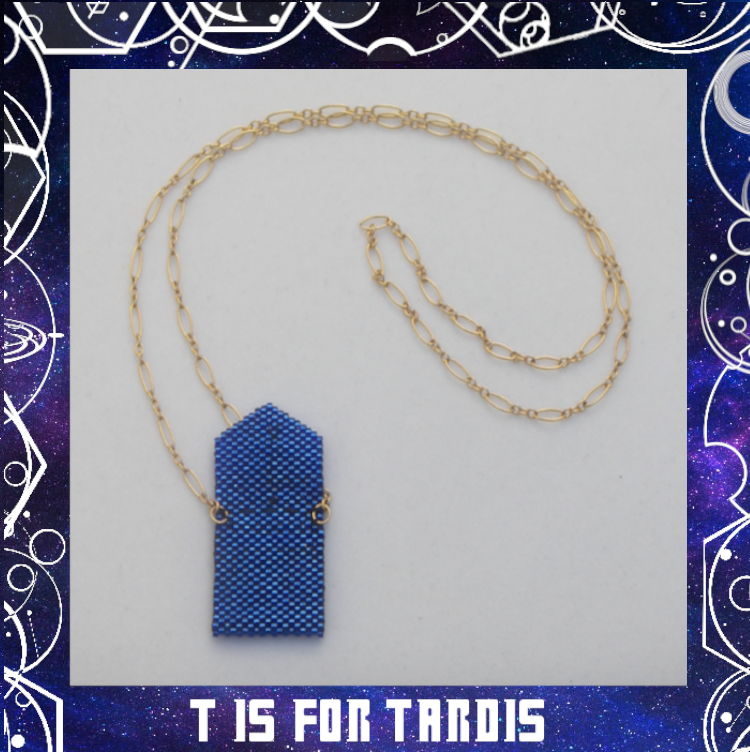 Doctor Who 11th Doctor Tardis Blue Envelope Necklace (odd-count peyote stitched) Inspired by the Matt Smith episode, "The Impossible Astronaut". This product is a digital download pattern ONLY. It is NOT for the finished piece. Dimensions of the finished beadwork when assembled - 2" (5 cm) square. Length (Final beaded piece) - 4.89" (124 mm [or 12 1/2 cm]). Width - 0.75" (18 mm). The pattern is easily customizable for wider wrists. Just add additional rows to both ends of the bracelet using the existing color guide included in the pattern. a visual guide on how to make the picot stitch edging on the top and bottom of the bracelet. adding the end pieces and toggles. Bead Chart showing 11/0 Delica DB color codes and number of beads in each color needed for this project. Bead Grid with beads marked with a symbol matching on the bead chart. Step-by-step word chart for those who prefer using it instead of the bead grid. This pattern is not for resale, duplication or sharing. You are welcome to sell the item you create with it. We would love to see a picture of your work to share with our customers and fans on our website, Twitter and Facebook pages.